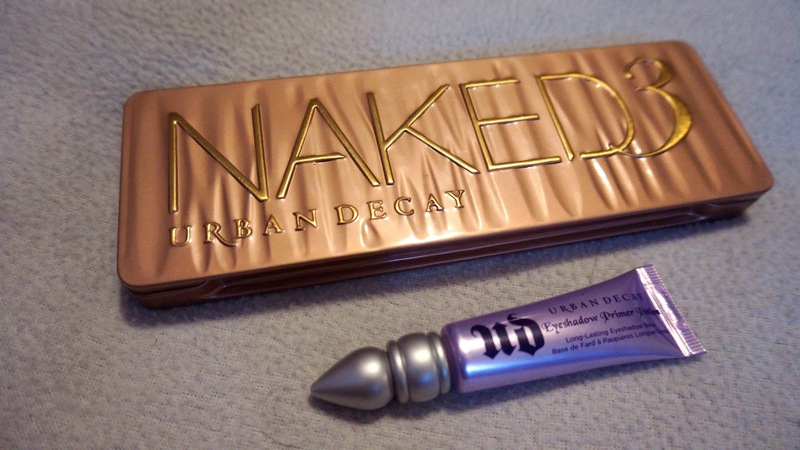 So clearly I am super late hopping on this bus but FINALLY here are my swatches and review for Urban Decay's Naked 3 Palette! "Experiment with 12 NEVER-BEFORE-SEEN (and insanely beautiful) rose-hued neutrals. From pale, shimmery pink to deep black matte with rosy red micro-glitter." Personally, I am in love with this palette. I really should have purchased this as soon as it came out, but the price tag was a bit steep for me at the time ($64 CAN)! But I did save up, and finally purchased this beautiful palette as I seen myself reaching in my makeup drawer for pink tones! I have really been into rose gold for quite awhile now and this palette is a blessing! The palette itself is absolutely beautiful, it has a large mirror and comes with a double-ended brush, as well as it came with four Eyeshadow Primer Potion samples! I did however purchase my own full size Primer Potion to use since i'm not a huge fan of samples in packets. Over all this palette is amazing, I do use it almost everyday as well as my Urban Decay Basics palette! The size of the palette is really awesome too, I was nervous when ordering it online that it would only be the size of the Basics palette, thankfully it came like three times the size.. okay, maybe only two!